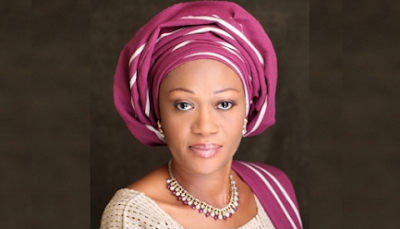 Sen. Oluremi Tinubu, representing Lagos Central Senatorial District, on Thursday urged young Nigerians intending to leave the country illegally in search of greener pastures abroad to have a rethink. Tinubu made the call in a message to Nigeria on the celebration of Maulid Nabiyy, the birth of Prophet Mohammed. She urged such restive Nigerians to be patient, saying the country would be great again. ”I celebrate with Muslim faithful in the Lagos Central Senatorial District, Lagos State and Nigeria as a whole on the celebration of the birth of Prophet Mohammed (SAW). ”The birth of the Holy Prophet marks the beginning of the great life of service and teaching which he led. “It is a time that calls for reflection on the purpose of his birth, life, teachings and laid down tenets. ”We must at this time, continue to pray for the peace and prosperity of our country, Nigeria. ”In the light of the recent spotlight on slave trade on the African continent, we must also pray for our brothers and sisters who are being held against their will in these far-away lands. ”I also want to use this medium to encourage those intending to leave Nigeria illegally in search of greener pastures to be patient as Nigeria will be great again,” she said.